When you make the best headphones on the planet, you can afford to sit back and enjoy the acclaim. And yet Focal, a French company who produce the astounding Utopia headphones, refuse to settle. They consistently release new gear, and we recently spent a month with their Elegia headphones - their first closed-back model. 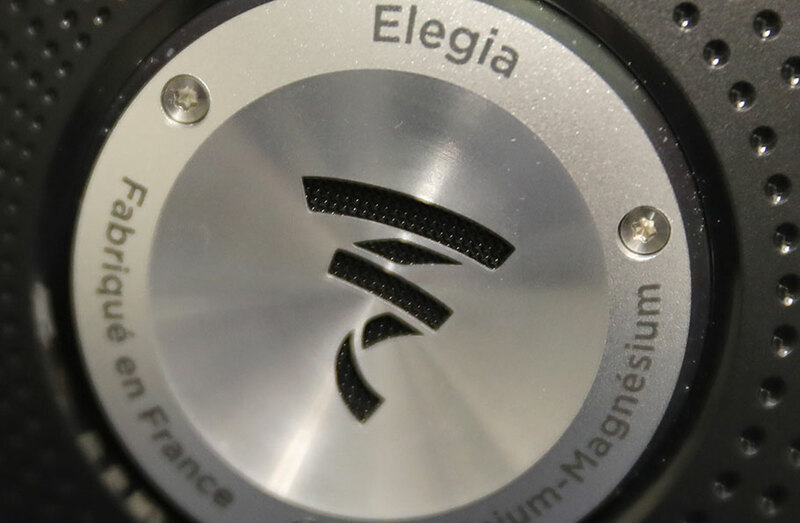 In this review, we break down the Elegia's sound, design, comfort and fit, packaging and accessories, specs and more. To see alternatives, check out our list of the best high-end headphones. Closed-back headphones don't usually have the soundstage and spacing of open-backs, delivering a significantly more boxed-in sound. The music sounds like it's coming from inside your head, instead of all around you. This headphone type may not leak sound quite as badly - which is a definite plus - but in our experience of high-end headphones, we've found that we prefer open-backs more often than not. Of course, this is Focal, and so they've given their first closed-back headphones something a little extra. That little something is the midrange, and in the Focal Elegia, it's spectacular. The midrange is the part of the sound spectrum that takes in elements like vocals and acoustic guitars, and when you put it through the Elegias, magic happens. We haven't heard vocals this clear or this exciting in ages – definitely not in a pair of sub-$1,000 headphones. It was truly staggering just how much life and energy the music had, especially if they were well-recorded. Genres like folk and acoustic really came to life here, and we found the whole experience satisfying as hell. Compared to the competition, the Elegias performed exceptionally well – we much prefer these to other closed-back models, like the MrSpeakers Aeon Flow. Those headphones are excellent – and cheaper than the $899 Elegia, at $800 – but we found ourselves gravitating to the Elegias more often. 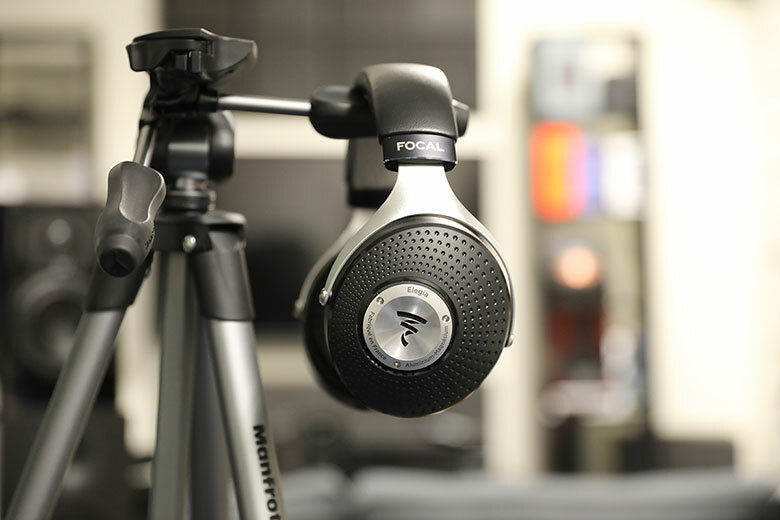 We've never heard a pair of Focal headphones that didn't wow us in some way. Although the Elegias aren't perfect – more on this below – the dedication to midrange excellence means that these quickly became our go-to cans. As strong as the midrange is, bass heads are going to find themselves a little disappointed with these headphones. It's not that the bass isn't decent – it feels clean and accurate, with good detail. But compared to how glorious the mids are, the bass definitely plays the background, with less power and no sub-bass rumble. Put a genre like hip-hop or EDM through these, and you'll truly feel like something is missing – like you are quite getting the full picture. 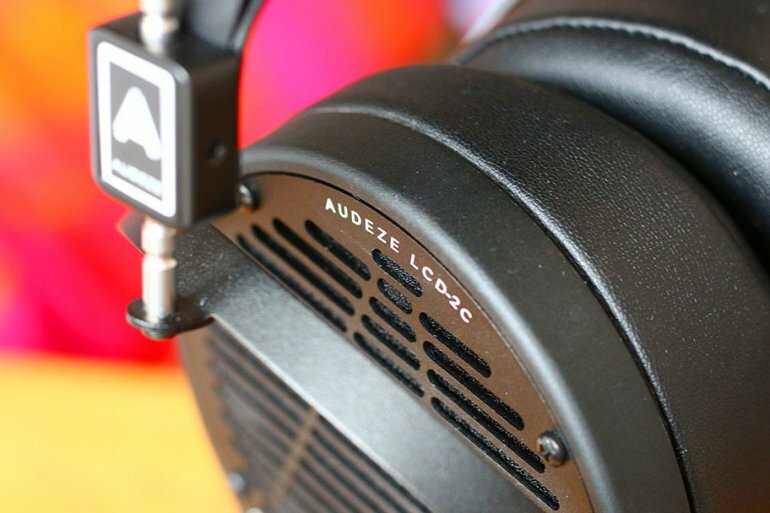 Unfortunately, this means that the Elegias lose out to headphones like the AUDEZE LCD2C (full review here). Those headphones are not only cheaper than the $899 Elegias, at $799, but offer much better bass. The kind that puts a big, fat smile on the face of anyone who hears it. If it were a simple competition of bass vs. midrange, then we would make this comparison, but the mids in the LCD2Cs aren't bad at all. As a consequence, the overall sound signature of the AUDEZE headphones is a little more appealing than that of the Elegias. That being said, we would suggest demoing both before you buy, if you can. Take a look at that little metal F logo on the outside of each earcup. Take a real close look. See the little grille? That's letting air into the housing to interact with the drivers. Not too much – these definitely count as closed-back headphones, but not completely. The soundstage of the Elegias is a little wider than we'd normally expect, with instruments that feel alive and precisely-placed. It's a neat trick, and it beats other closed-back headphones, like the $759 Beyerdynamic t5p, quite easily. 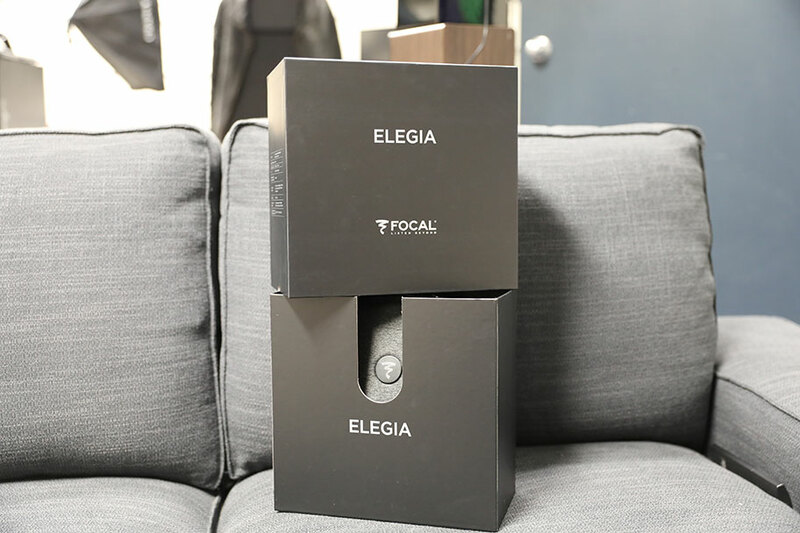 The key difference between the Focal Elegia and the other models in the company's stable is one we've mentioned already – they are closed-back headphones, as opposed to open-back. 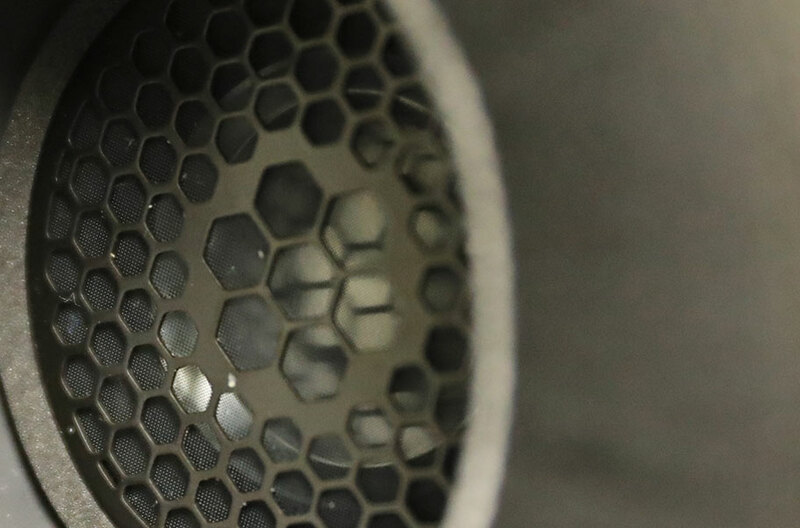 This means that the outer housing is completely sealed from the outside world, whereas in an open-back pair of headphones, there's a grille that allows air to interact with the driver. You can read more about this here. We'll describe how this impacts the sound in more detail below, but broadly speaking, there isn't a huge difference between the Elegia, Elear, and Clear models in terms of sound signature. While there are certainly subtle differences, we aren't talking huge gaps here. All three models show off what we've come to think of as the Focal 'house sound', which is light, balanced, and clean. The $899 Elegias are smack-bang in the middle of the price range, sandwiched by the $695 Elear and $1,499 Clear, making them a good option for those who don't want to go over the $1,000 barrier. These headphones offer audio quality that's slightly more refined than the Elear, if not quite as precise and breathtaking as the Clear, which we reviewed in full here. High-end headphones have a reputation of being difficult to drive, thanks to big-name models from the likes of HiFiMAN and AUDEZE, which require a lot of power. Fortunately that's changing – and the Elegias are right on the cutting-edge here. We had no issues getting an acceptable volume through our smartphone, though it must be said that the headphones truly shone when put through a decent headphone amplifier. Our particular favorite combination were the Elegias and the Chord Electronics Hugo 2 (full review here), but the headphones still felt elevated when tried with other amps. At 32 ohms of impedance, they are easier to drive than the Focal Clear headphones, which had a rating of 55 ohms, and require far less power than the 80 ohm Elear. 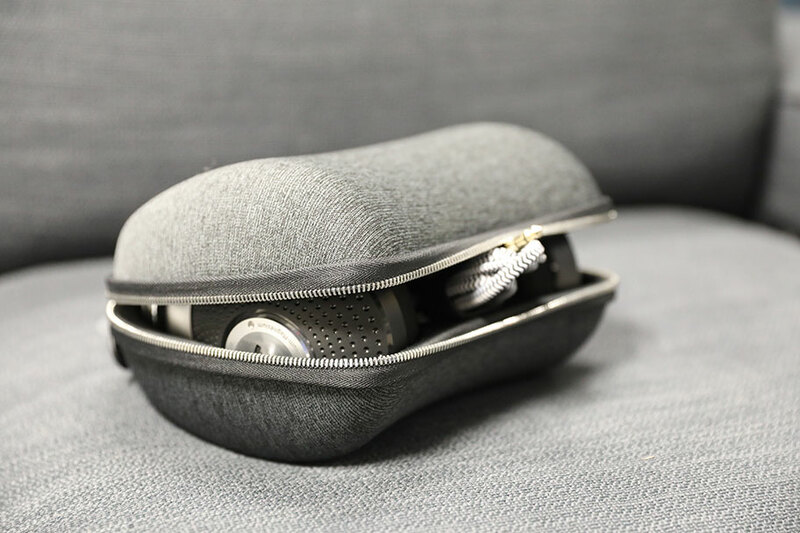 This makes them some of the friendliest, most-forgiving headphones that the company has ever produced, and although they are a little bit bulky and hard to manage – more on this below – you could quite comfortably plug them into your phone and get a great audio experience. Focal don't just have a house sound. They have a house design, too, and it makes any of their headphones instantly recognisable from a distance. Anybody familiar with the Clear, Elear, or the magnificent Utopia (full review here) will recognise the shape and style. Also, if you are familiar with the $3,999 Utopia, may we congratulate you on your good fortune? Surprisingly for a pair of high-end headphones, there's no 6.3mm plug on the cable – although there is one included in the package. The standard attachment is a 3.5mm one, clearly indicating that these headphones are quite comfortable being plugged into a smartphone or a DAP. 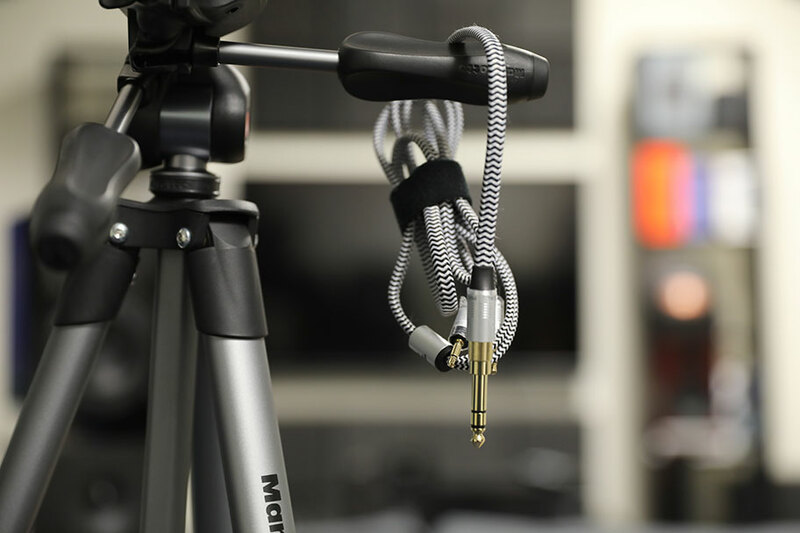 The cable is removable – we'll talk about it more in a minute – and connects to each earcup via a pair of 3.5mm connectors. Nothing we didn't expect to see, and all easy to operate. Here's a question, though – and this is just a small aside. Focal have made wireless headphones before, like the Listen Wireless (full review here), but isn't it about time that they made a pair of high-end wireless cans? Bluetooth standards are getting so good now, and if there's any company that has the chops to give it a go, we'd say it's Focal. Can we make that happen? Who do we need to talk to? By now, it's probably clear that the Elegias have plenty of things to recommend about them, including fantastic midrange and excellent design. However, they do suffer a bit of a black mark in their comfort. 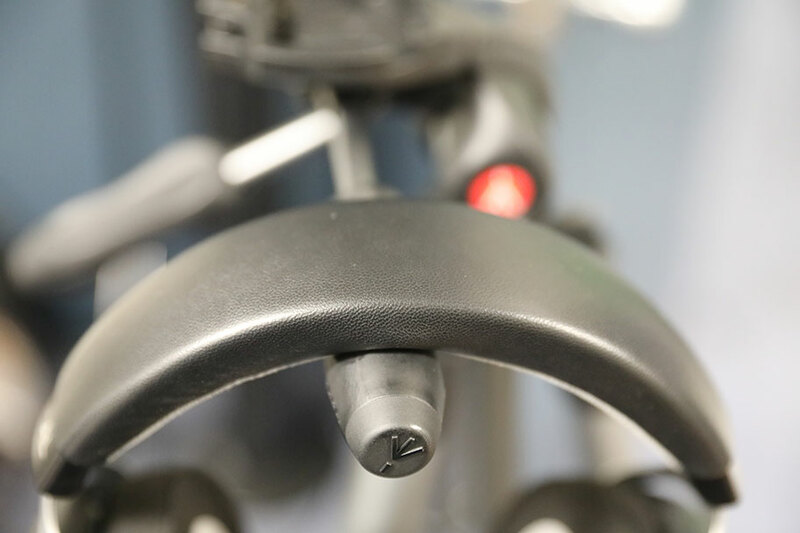 This is down to the clamping pressure – how hard the headphones grip the head. The Focal Elegias are tight, and not in a good way. Compared to headphones like the less-expensive Beyerdynamic Amiron Home (full review here), which offer perfect clamping pressure, there's a lot to be desired here. It means that wearing the Elegia for more than a couple of hours can get a bit uncomfortable. It's not all bad. We really like the memory foam and microfiber ear pads, which are capacious enough not to pinch the ear, and squash nicely against the side of the head. The headband, too, manages to be comfortable. 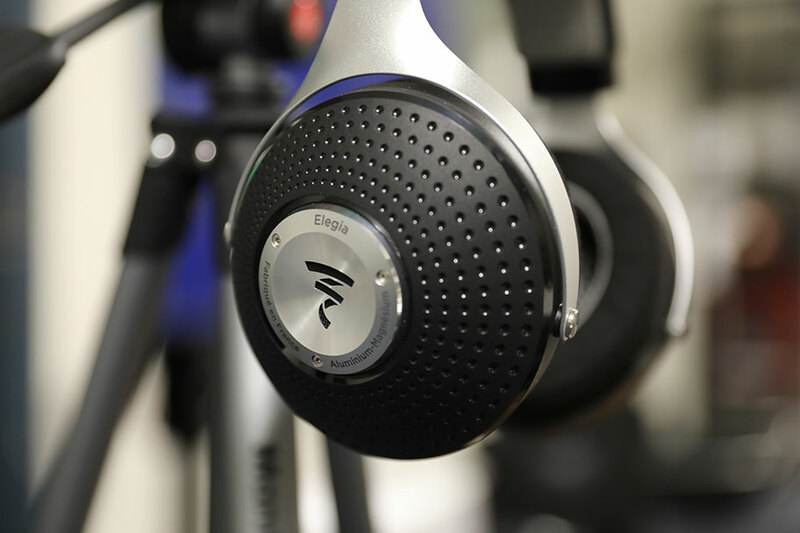 If Focal made the headphones a bit less eager, we probably would have given top marks here. As it stands, these are definitely not the most comfortable model the company offers – the Clear and Utopia are, hands down, the better options here. The Focal Elegias come with a hefty zippered case, as you'd expect for a pair of headphones in this price range. As good as the case is – and it is very good – we simply cannot look at it without being reminded of the Monster Book of Monsters from the Harry Potter series. With its clamshell design and chunky zippered teeth, it looked like it was going to come to life and bite off a finger at any moment. Still, it's well-designed, with a moulded slot for the headphones and some Velcro straps to secure the cables. It's nowhere near our favorite case of all time – which came with the legendary AudioQuest NightHawk Carbon (full review here), now sadly discontinued. But it's perfectly serviceable, and feels suitably premium. The cable that comes with the Elegias is a bit of an issue. Firstly, it doesn't feel nearly long enough – despite being almost four feet, it constantly felt like we were tethered uncomfortably close to our amp. Secondly, it was way too stiff, with nearly zero flexibility. That meant that it often got in the way, or brushed uncomfortably against the chin. Hopefully, Focal can rectify this at some point. The Focal Elegias deliver some of the best midrange sound we've ever heard, making elements like vocals shine. The design of the Elegias is excellent, with a terrific industrial look. The headphones feel like they are priced in the right range, and there's a genuine sense of getting your money's worth with these. 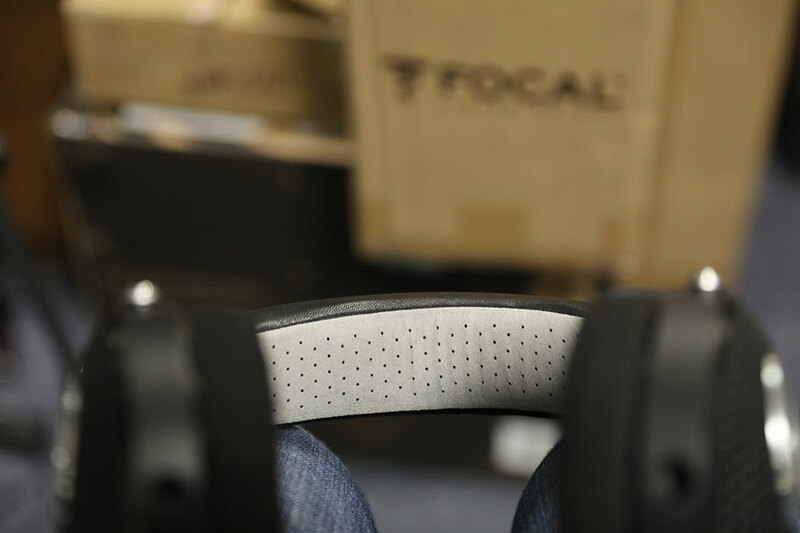 We had some issues with the comfort and fit of the Focal Elegia, particularly the clamping pressure. The cable for the headphones was way too stiff and not nearly long enough. The bass of the Elegias felt a little recessed and underpowered, meaning that the headphones were unsatisfying when playing genres like hip-hop and EDM. The Focal Elegias have plenty of competitors, and not just from other big companies. Headphone designer, Dan Clark, is a legend in the audio world, as is his indie outfit, MrSpeakers. The closed-back MrSpeakers Aeon Flow (there's an open-back version available) is a natural competitor for the Elegia. We prefer the latter; despite the Aeon Flow being a bit cheaper, at $800 versus $899 for the Elegias, Focal's headphones have a more pleasing sound signature. The Aeon Flow can come across as slightly sterile and unexciting, and they don't have the engaging midrange that the Elegias do. Another comparison: the energetic AUDEZE LCD2C. They're big, they're heavy - 1.1lbs, versus 15oz for the Elegias - and they have a suitably weighty sound. The bass is outstanding, and while the mids aren't as agile or expressive as those offered by the Elegias, the overall sound signature is crazy-good fun. For that reason, and the fact that they are around $100 cheaper, at $799, we'd rank these over the Elegias. The comparison isn't perfect - these are open-backs, where the Elegias are closed-back - but they occupy the same space in the audio world. So, we'll allow it. If you want a cheaper pair of closed-backs that really deliver, try the $700 Beyerdynamic t5p. These headphones are a bit old now, but they're still around, and still firm favorites among those who prefer things closed-off. The sound quality is neutral without being dull, and is suitably balanced - more adept than that offered by the MrSpeakers Aeon Flow. At 32 ohms, they are even easier to drive than the Elegias - although the styling isn't quite as good, and there's no removable cable. 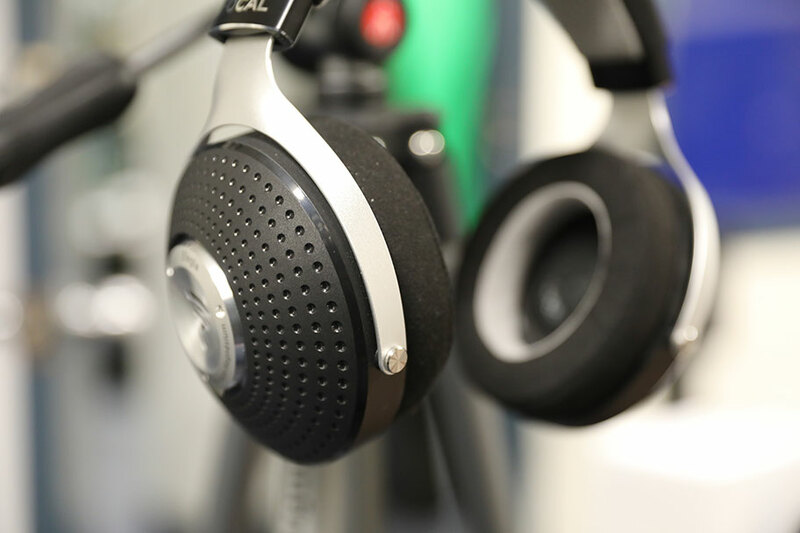 Focal make plenty of other headphones. We're not going to compare the Elegias to the $3,999 Utopias - that would be cruel - but how about the $699 Focal Elears? These were the company's original entry-level high-end headphones, and their distinctive styling has stuck around. Expect audio quality that lacks a little polish compared to other models, and definitely to the Elegias. There's a decent amount of detail, but a slight roughness to the high-end, and a soundstage that doesn't quite feel as large as it should. All the same, these have remained in rotation for a reason; the sound may be rough, but it's addictive and fun.